Did you catch the Health Standards (@HealthStandards) Twitter chat about Lean on Friday? In case you don't know, Twitter chats are an open forum held on Twitter, with everyone using a specific hashtag (in this case #HITsm) to keep track of responses. Our very own Mark Graban (@MarkGraban) was invited by the hosts as a special guest to moderate the discussion. We’ll be highlighting the key takeaways from the chat here, but you should definitely check out the whole conversation, too! Mark replied that “Lean is scientific process improvement method that engages all, a management system, culture and philosophy for organizations.” Many others also chimed in with answers including “unending process of squeezing waste and error out of processes, including itself” as participant @mloxton put it. However, as many learn about Lean, they take away that an important part is not only removing waste but also increasing quality. One way that the increase of quality gets lost in Lean discussions, especially regarding health care, is that some people who misunderstanding Lean make it all about financials. Organizations want to re-engineer with fewer people in order to improve their financial bottom line instead of using Lean to remove waste and increase the value provided to customers. Making a business more efficient can have an impact on the bottom line, but sometimes solely trying to make an impact on the bottom line can have a negative impact on the overall success of the business over time. Many benefits of Lean principles were mentioned, with Mark stating that “Lean improves safety & quality, reduce wait times, improves patient satisfaction, reduces costs and improves staff morale.” Many others put forth their beliefs about Lean’s benefits in workflow, continuity of patient care, and how it results in safer healthcare at a lower cost to patients. There were even multiple mentions of Lean helping to reduce physical burnout of staff members. There were a wide variety of responses, such as “But this is the way we’ve always done it” (@katseyemedia) and that there is a tough balance to bring a new solution into an organization. By far, the most common response we saw was that the “biggest challenge in adopting Lean is adopting an organizational culture that supports it” (@jonmertz). We saw responses that said sustaining lean concepts over the long run was an issue, (@adamrichsearch) as well as having a lack of support from superiors and executives. 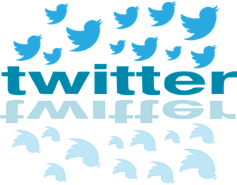 One twitter user mentioned that he had been a part of multiple Lean rollouts with lots of hoopla and rah rah and then the excitement fades away and existing processes and fiefdoms remain in place (@ShimCode). Lean should not be implemented and then forgotten about. The leaders of an organization are an important piece of the puzzle in making sure that Lean works for the organization. One interesting issue we came across was that organizations will sometimes blame and bully their staff as well as use them as scapegoats for errors (@mloxton) when in actuality the blame should be put on the processes. The people can only be as good as the processes they use. Our own Maggie Millard (@maggiemillard88) suggested a solution that includes the process of changing the culture to view problems and errors as opportunities to get better. Mark leads the discussion and says that you can “create a culture of continuous improvement by engaging staff, asking them to help point out problems, listen, be supportive, and test changes - PDSA (Plan, Do, Study, Act)”. Many of the other responses had similar themes. @katseyemedia said to “keep it relevant to your care settings and patient population and try new ideas on small scale.” Another said that “success stories seem to include engagement (input from many), feedback and results shared transparently” (@LeslieCozatt). To sum it all up, getting engagement from staff, supporting them with resources and feedback, and to actually implement the changes are all important steps in creating a culture of continuous improvement. Mark notes that adhering to the tried and true Toyota model, the technology needs to be reliable and well tested, supporting your people and your processes. One answer to the topic was data analysis. Data analysis can help find goals and opportunities for improvement. Another answer to supporting Lean efforts is through KaiNexus. KaiNexus helps companies support Lean by allowing all staff members to capture, implement, measure, and share their improvements. In addition to being a platform to submit improvements, KaiNexus supports data analysis, which makes sure that new improvements don’t fall through the cracks.